The Adamello Ski area is a land spanning Valle Camonica (Lombardy) and Val di Sole (Trentino) with a skiing carousel made up of 100 km of ski runs which are all linked one to the other. This means that it is possible to ski from Presena glacier (3.000 metres above sea level) to Tonale and then to Pontedilegno and Temù (1.150 metres above sea level), treating it as a single ski run through many diverse landscapes. 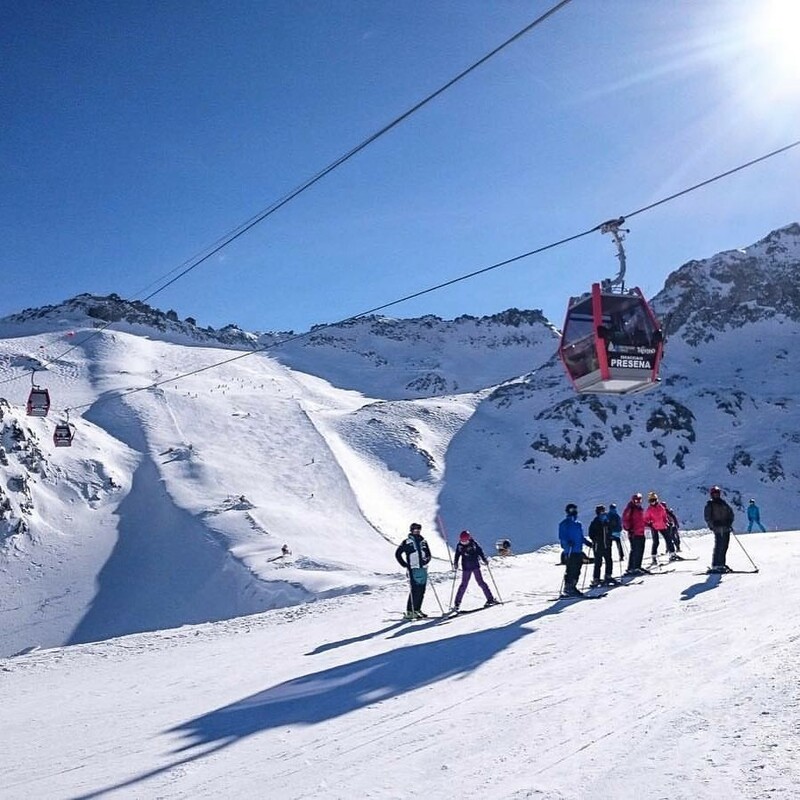 With the new cableway Pontedilegno-Tonale the 'Big Dream' has come true: Adamello Ski has become one of the biggest and most important skiing resorts of the Alps. Get Snow Reports, Powder Alerts & Powder Forecasts from Ghiacciaio Presena straight to your inbox!